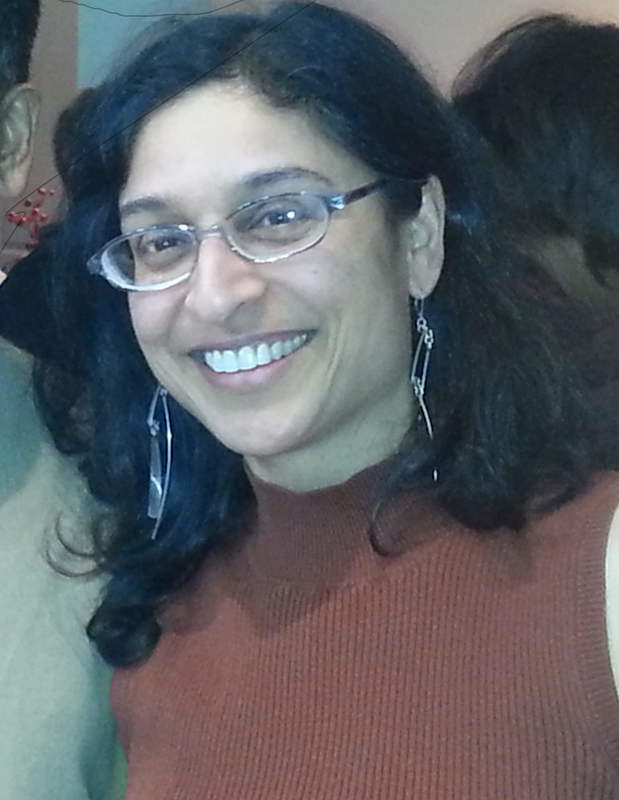 Dr. Tia Vellani is a professional artist with a background in science and a lifelong love of music. She creates art from music and music from art. She lived in Canada and the USA and is now based in Kilkenny, Ireland. Music, art and science inform my creative practice because I am interested in our relationship to music, some of which is revealed through art and science. My work centres around the qualities of music revealed by visual interpretation, the qualities of visual art revealed by musical interpretation and the qualities of scientific theories revealed by artistic and musical interpretations. Recent works include a fantasy musical instrument designed to allude to the origin of music and its role in human evolution; a digital animation that uses colours and shapes to represent sounds and musical form, respectively, of an old English round song; a composition for flute, tubular bells and synthesizer created from the physical and connotative attributes of a light sculpture and an experimental art/music work exploring the theory of evolution. Underlying all of my work is a quest for knowledge and understanding and a reverence for compassion and self-awareness. My art takes the form of digital image and animation, installation, performance, painting, tapestry and, most recently, musical composition. I once met a man whose dog had dreadlocks. At the time, I was finishing a Ph.D. in Genetics in Vancouver, Canada. I had an interview for a postdoctoral position in the Molecular Biology Institute in Eugene, Oregon and the professor who was conducting the interview suggested that I hitch a ride with this fellow to save on airfare. After some deliberation and hesitation, I decided to take the 10-hour trip with this man I'd never met. When he picked me up, I saw that he had a big, black dog in his car. The man spoke so gently to the dog that any worries I may have had about his character quickly dissipated. He shared his lunch with me on the road. Not only that, but he listened to me practice my job talk, escorted me to my interview, attended my seminar, introduced me to his friends, showed me around town, took me to a party and rode me back to my Bed and Breakfast on his bicycle built for two (for real). The next morning, he came by again and drove me to the airport to go home. I was inexpressibly grateful. I couldn't think of an appropriately grateful thing to say, so I asked, "How can I repay your kindness?" He smiled and said simply, "Pass it on." In the ensuing years I've learned a way of living that has enabled me to pass on the kindness that this man extended to me. I came to realize that I, like everyone else, have an opportunity to offer myself to the world, something that nobody else can do for me. After much struggle and unhappiness, I learned that I first had to understand and accept my natural role before I could fulfill it. I came to realize that it was my family, and not science, that needed me. I also realized that in my spare time, I was not passionately analyzing data, but making jewelry, painting, playing music, writing. Scientist By Day, Artist By Night. So I chose to leave science in the summer of 2003 and dedicate my time and energy to nurturing my family and developing an artistic voice. Our household is dramatically more harmonious now, and when I'm not running the ship, I continue to experiment with art materials, still moving to find my art self. And maybe I'll get there, and maybe I won't, but right now, I'm right where I want to be. I owe a deep debt of gratitude to many, many people for helping me realize this venture, but especially Moodle, Rik, Mishu, Maline, Shaelin, Nenena and Roy. Thank you all. Once while free writing, I hit an artery. Unlike previous sessions, where the one doing the writing was me, this time the poem, Blueberry Spook, wrote itself. I felt I had suddenly become a conduit from a realm of pure experience; of dreamlike almost-images, almost-feelings, and almost-words born only through the act of being written down. It happened again while I was painting, and out came Vitamin O. In moments like these, I feel like I'm plugging in to the energy of the universe through a secret interior passageway, and the collective experience of all humankind is streaming through me. This is an energy that throbs in the core of each of us, and is fed by the very act of connecting to it, and therefore to each other. I feel driven to make manifest the messages from this source. I want to let it speak. A deep, almost unreachable part of human existence resides here inside everyone, and art created from this place resonates in a way that people intuitively recognize. And when it does, it knocks your socks off. Art has done for me things I hope to pass on to others. The Martin Luther King Memorial Sculpture in San Francisco blunted the edge of my existential loneliness by relaying a message from a like-minded spirit. And we all know that loneliness is the malaise of the modern world. The paintings of Roy Henry Vickers have grabbed me by the roots of my most primal longings. In my youth, the art of Jia Lu riveted points in time for me by bringing my awareness to the moment. Many street artists have made me stop and think, an undervalued practice in this time and place in history if ever there was one, with the possible exception of Rome, before the Empire burned. The idealist in me hopes that my art will bring greater peace through increasing our understanding of one another. That's what I want my art to do for others. What it does for me is something quite different. I search constantly for meaning in the comings and goings of the people in my life. I use art and writing as midwives to the comprehension of those movements and of my place in society. Creative work helps me build context and discern patterns. Furthermore, art is my incubator for ideas about the mechanics of life from my perspective as a middle-class, Indo-Canadian with an eastern west-coast spirituality and an education in the biological sciences. Moreover, releasing creativity is like scratching an itch. Martha Graham said it beautifully. She called the artistic drive "a queer, divine dissatisfaction, a blessed unrest that keeps us marching and makes us more alive."